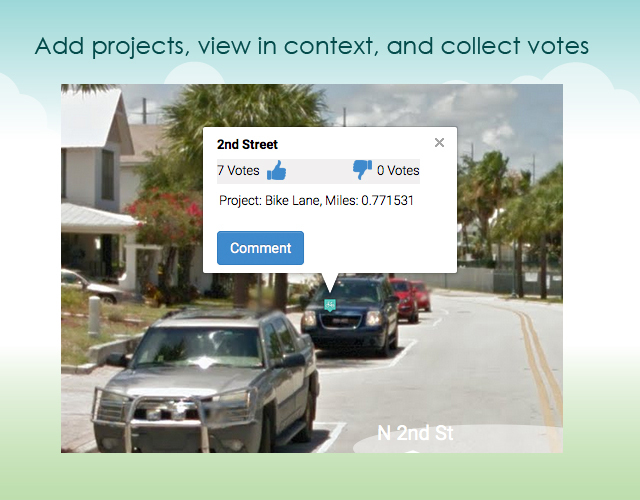 It allows citizens to conveniently post their ideas, comments, and images to a website and relate them to a specific geographic location or general topics. 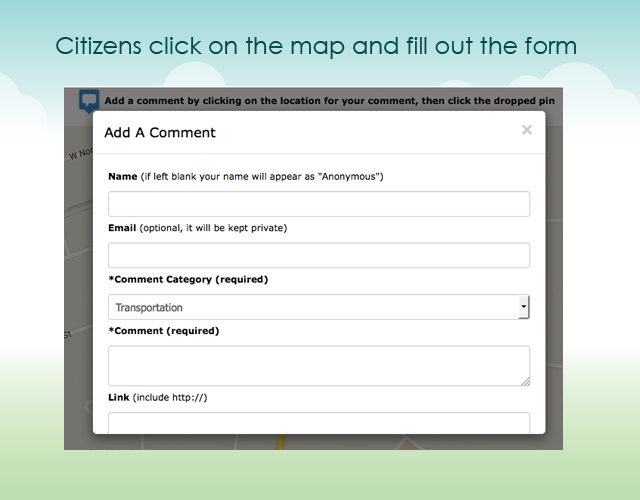 Unlike other engagement application, citizens do not need to create an account or login to participate. As a result, citizens “hit it and go” on with their lives. 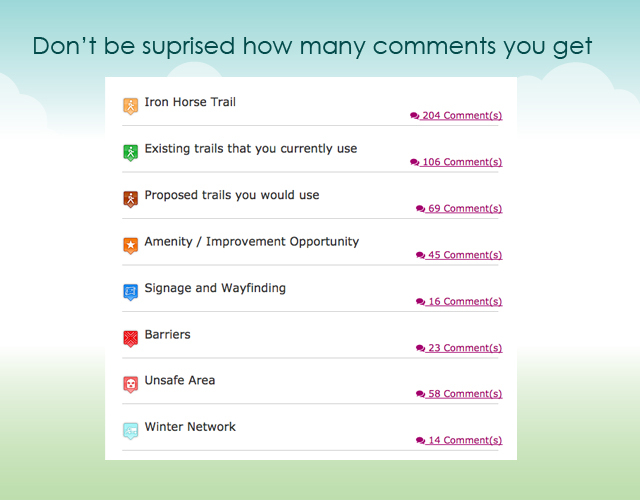 Many planners use COMMUNITY REMARKS as the central database for all feedback collected throughout their plan. 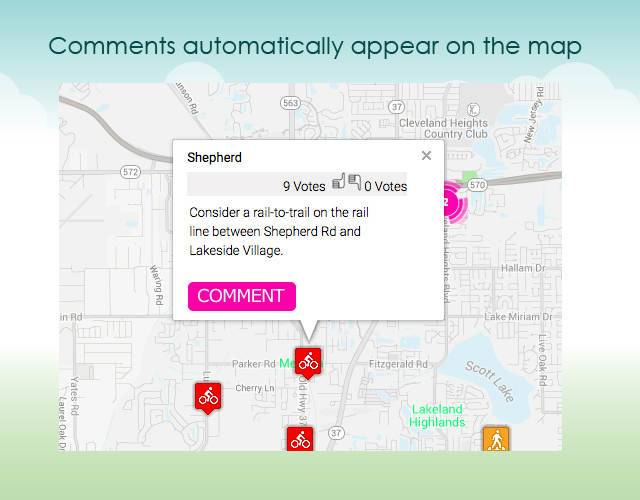 Collect citizen comments relating to bike, pedestrian, trails, safety, or any topic you desire. 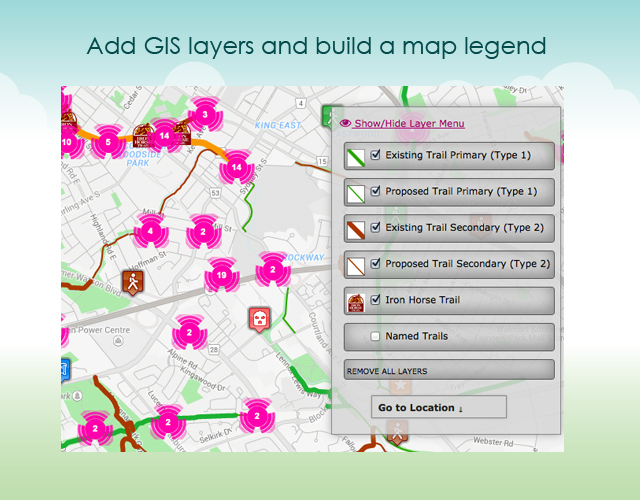 Upload KMZ files exported from GIS to illustrate district boundaries, key locations, educational information, past plans, etc. Present a responsive design for tablets, phones, land computers. Tabulate results from online outreach during each phase of the project. 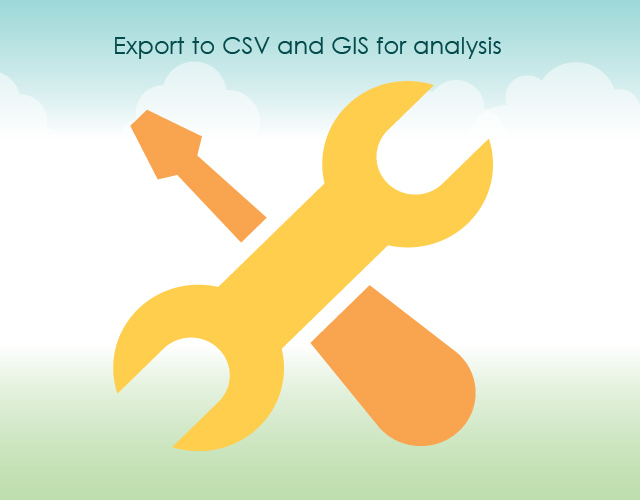 Comments are exported from Community Remarks in a spreadsheet and can be imported into GIS. Create summaries from all comments collected online, broken down by topic, and generate reports of analytics from online traffic. 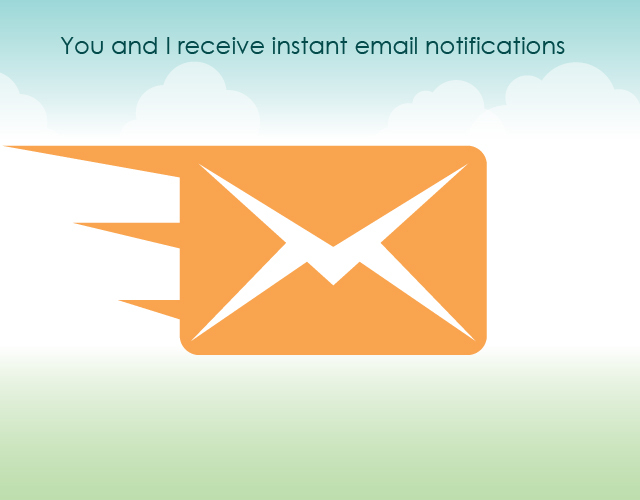 Comments can be summarized in pie charts and narrative.